The Revolutionary New Plan to Melt Up to 10 Pounds in Just One Week! By Kelly Choi and The Editors of Eat This, Not That! The 7-Day Flay Belly Tea Cleanse is a revolutionary new plan to melt up to 10 pounds in just one week. It provides an easy, step-by-step program that utilizes the fat-melting power of tea to jumpstart readers' metabolisms and health at the same time. Readers can expect to lose up to 10 pounds of stubborn fat, sleep more soundly, feel more energized, and dramatically reduce their risk of chronic diseases. 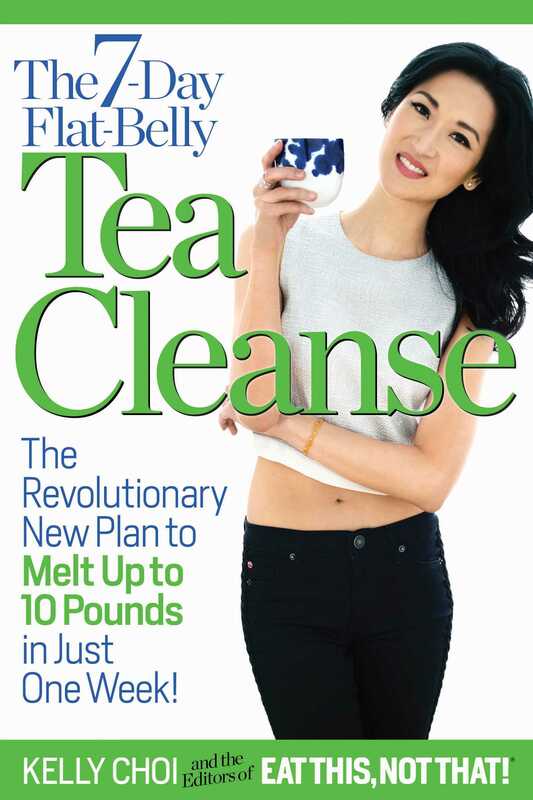 The book features fat-blocking teas, stress-busting teas, metabolism-boosting teas, plus tea cleanse smoothies and a food plan (with delicious recipes) designted to make weight loss fast and easy for anyone. A bonus chapter offers drug-free herbal remedies for healing everything from arthritis to headaches to the common cold. The editors of Eat This, Not That! and Eatthis.com are among the most accomplished food and nutrition journalists in the United States.